Late noughties outfits Dananananaykroyd and Operator Please may not have had all that much in common aside from some serious blog love, but now they've come together (in a sense) as Bossy Love. Combining John Baillie Junior and Amandah Wilkinson from the former and latter outfits respectively, the duo of Bossy Love isn't quite Blu Cantrell and Sean Paul (but who could be?!) yet their own twist on 2003 UK #1 single 'Breathe' is fire. 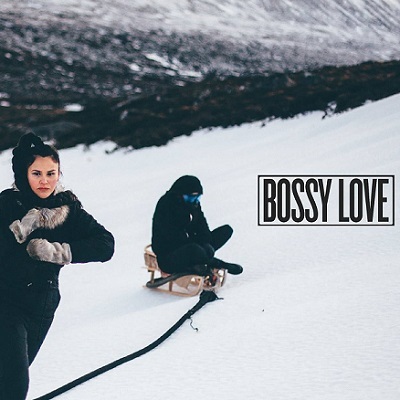 We actually specifically mentioned this remix (we think more cover, but tomato/tomatoh) when we brought up Bossy Love as one of the best new bands we caught at The Great Escape 2018 in Brighton because it was an obvious banger. Pleasingly, the recorded 'Breathe' captures the same energy of the live version, and we're hoping for more boss stuff from Bossy Love in 2019. Find more info and pick up a free download of 'Breathe' via bossy.love.